Sensor Head Dimensions: Round 72 mm dia. We are offering Temperature Anemometer to our client. 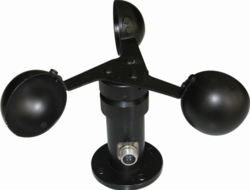 We are offering Anemometer Metro Brand to our client. 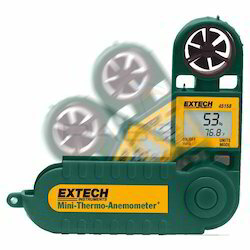 - Used for ambient temperature, humidity, dew point temperature, wet bulb temperature, wind speed, and air volume. - USB real time data uploading functions. Power Consumption: Approx. DC 9 mA. Operating Temperature: 0 to 50 Deg C (32 to 122 Deg F ).